Take a short story break. 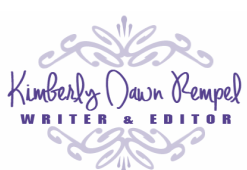 Squeaky clean thrillers, non-fiction, memoir excerpts, and more. EXCLUSIVELY available to Inner Circle Readers. ​to receive the next new release! In horrifying stop-motion glimpses, Julie discovers the unwanted visitor and his high-stakes mind-game. But does she have the mind to stop him? Reason and fear face off in this terrifying thriller. The most haunting aspect, however, is the potential for this fall from reason to happen to any one of us. Where was God's promise of restoration? Would the news bring about the long-awaited restoration, or would it plunge an already broken family further into chaos? ​It was one of those days. Had anything he'd done ever mattered? Although Martin was a good-hearted man who went into nursing to help and to matter, the daily treadmill of ungrateful patients, negative co-workers, and feeling insignificant were making him question everything: his work, intentions, and purpose. He was losing hope fast. Then two patients and a surprising accident turn his life upside down. Deeds. They don't count like you think. ​I couldn't believe it. She took my prized possession. Just... took it and drove off! What happened next I never saw coming. Cozy up and let this funny true Christmas story warm your heart this holiday season. 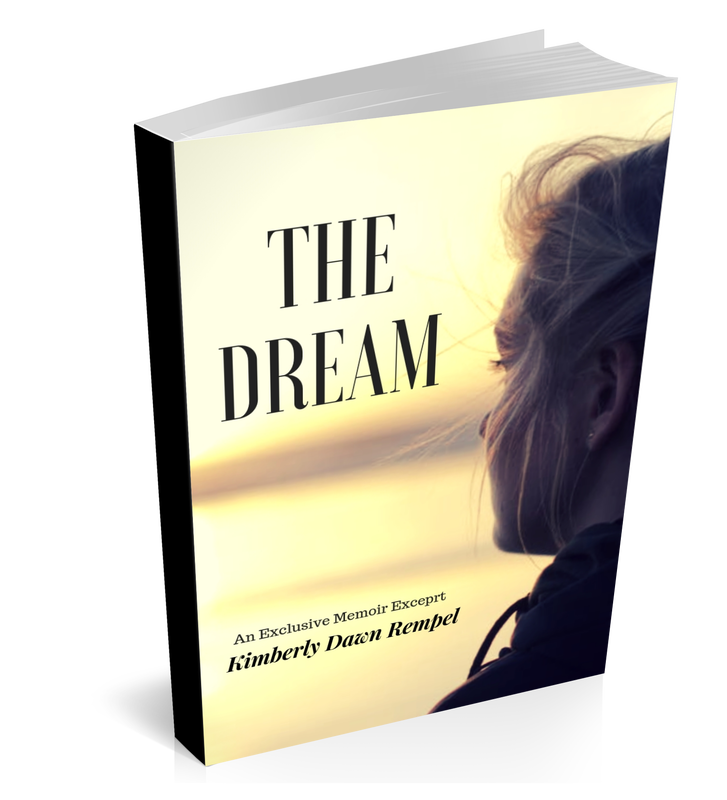 ​In this true short story,The Dream, I reveal a vivid and foretelling dream I had, which my aunt and friend Liz gave me the secret meaning of. 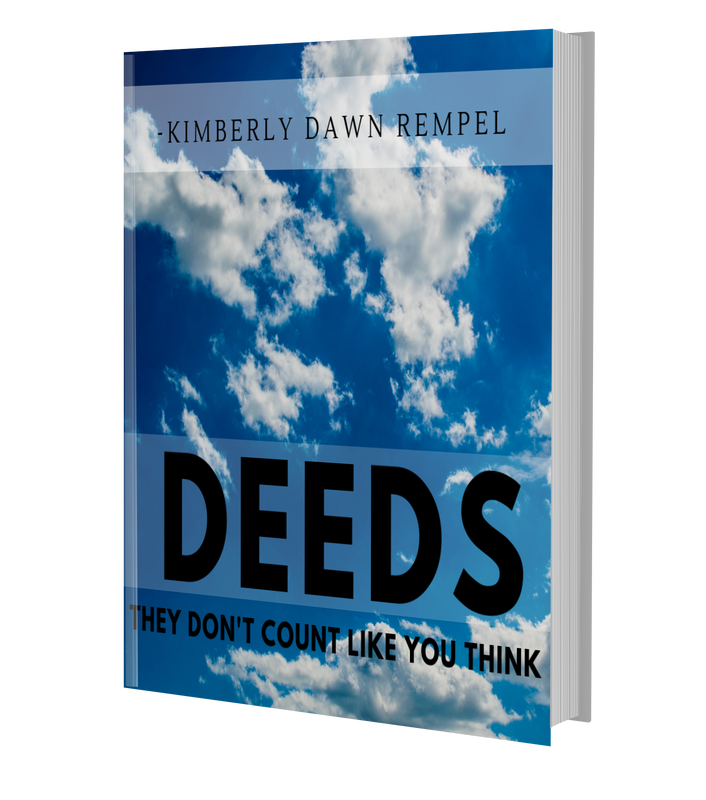 Mysterious, heartwarming, and also faith building, this short story will leave you smiling. This novella was released EXCLUSIVELY to subscribers and is available NOWHERE ELSE. Sweet!! * "Riveting!" * "I couldn't put it down!" * "Ah! I can't stop reading!" Short thriller that left people gasping "This is good! Like, J.K. Rowling good!!" "Left me breathless!" In The Dream, I reveal a vivid and foretelling dream I had, which my aunt and friend Liz gave me the secret meaning of. Mysterious, heartwarming, and also faith building, this short story will leave you smiling. Discovering her dear friend's lifeless body was just one tragedy in a series of life-altering losses. Watching her mom shrink and slowly die under the tyranny of cancer was another. On the path of pain and chaos Kim explores faith, discovers self, and even unearths a new connection with her mom; something that had been impossible before cancer. "Spoke profoundly to my soul..."
"This is GOOD. Like, J.R. Tolkien good!" That was terrific! I am still shaking from the suspense, and I had no idea what was going to happen next, which was just nerve-wracking. Great job!"